One trend I’ve noticed is relying on just one form of social media to carry news, namely Facebook. This past summer was my 30th high school reunion. For the 20th, they sent out emails and tried to contact everyone. This year, there were no emails, only a Facebook page. Which I never saw. Thus I didn’t find out about it until a week after it happened. My husband’s classmates also set up a Facebook page. He’s not on Facebook, but the day the announcement went up, he got three emails about the reunion. Plus they have a committee trying to track down people by any means possible. Needless to say, we will be able to attend Craig’s reunion. The point is that while we all have our favorite form of social media, it shouldn’t be our only form. Twenty social sites is too much, but we have to remember that not everyone is on Facebook. Or Twitter. (Or a blogger!) And an email database is so valuable, especially to an author. Don’t limit your audience - spread your message far and wide. Thanks to Freeda Baker-Nichols for tagging me in the Not-So-Accidental Blog Tourist Hop started by Crystal Collier. Freeda Baker Nichols was born in Arkansas, has lived in Kansas, Oklahoma, Texas, Michigan, Maine, Virginia USA and in the romantic country of Spain where she wrote her first short story. She has studied creative writing at San Antonio College, Oklahoma University and the University of Central Arkansas. Her work has appeared in newspapers, magazines and anthologies. She has published two children’s books, Little Bug Eyes and Badfellow the Bull, a poetry chapbook, Tigers and Morning Glories and a mainstream novel, Call of the Cadron. 1.What am I currently working on? A paranormal romance collection called Four in Darkness. 2. How does my work differ from others of its genre? I wanted to show creatures who deserved sympathy rather than fear & hatred, plus one is a bit unusual. 3. Why do I write/create what I do? 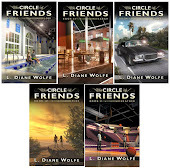 I began writing my YA/NA series to inspire others to follow their dreams. What I’m writing now is purely for enjoyment, and it’s kinda fun. Every author I contacted had either participated already or declined, so I’ve no one to tag. If you’d like to run with this, please let me know. There is a new ebook distributor on the market, Total Boox. Only instead of charging you full price to download a book, you pay as you read. For readers, this means if they start a book and don’t like it after one chapter, it’s only cost them maybe 20 cents. They can also download a ton of books at one time and not pay anything until they begin reading. But think of that in reverse for an author. What if 1000 people “download” a $2.99 book, but only 100 read it? For a self-published author, that’s the difference between $2093.00 if downloaded from other retailers and $209.00 from Total Boox. (At 70% to the author.) 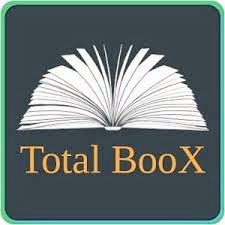 Technically, people won't download from Total Boox until they begin reading, but if they were accessing the book through Amazon, they would have to download to begin reading. I will be curious to see how well Total Boox can attract both readers and authors. 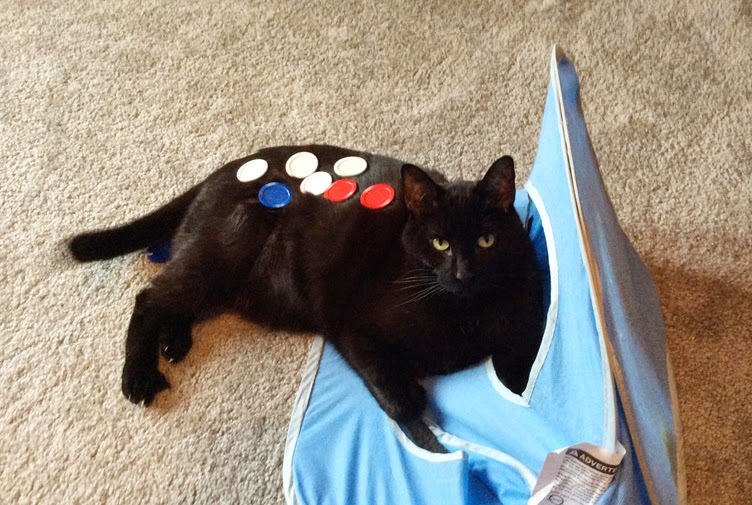 What do you think of this new business model? And I haven't posted any photos of Spunky in a while. These two demonstrate his patience! I’m also posting at the The Insecure Writer’s Support Group about the trend in indie publishing. 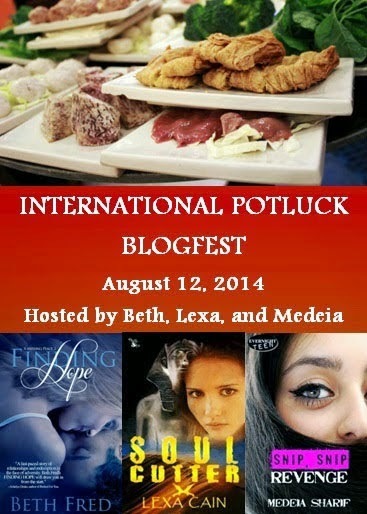 Hosted by Medeia Sharif, Lexa Cain, and Beth Fred. 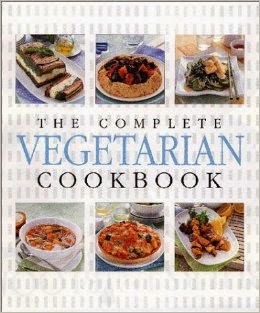 I’m a day early, but you are to post a cover to a book you love with a food and/or recipe from the book, a food from the MC's region, or a food you just like. There are also books and an Amazon gift card you can win. In sauce pan, cook one box of cous-cous according to directions. (Takes about 5-7 minutes.) Use a stock instead of plain water or get flavored cous-cous. When everything is done, mix together and serve. For my husband, who does eat meat, I’ll cook up chicken bites and add to his cous-cous. 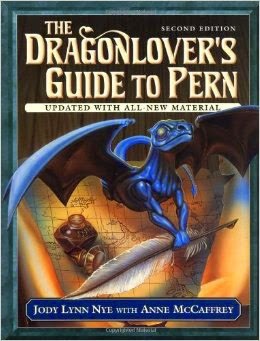 I’m also including a recipe from The Dragonrider’s Guide to Pern. Use 2-4 teaspoons of mixture per cup of boiling water. Should be thick like hot cocoa. Sadly, since I don’t eat chocolate anymore, I never got a chance to try this recipe. 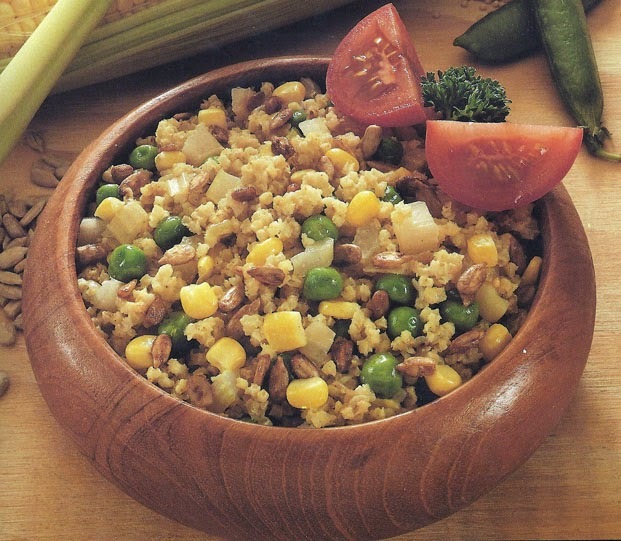 What are your favorite recipies? 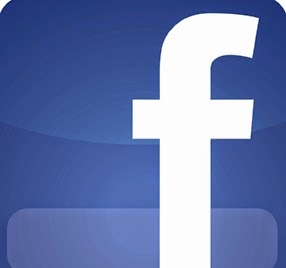 Don’t forget to check out the Facebook IWSG, too. 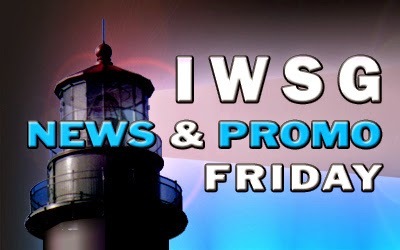 We have changed up the days a bit and Friday is now News & Promo day, which used to be Saturday. We also have something special planned next month to celebrate the IWSG’s 3 year anniversary. So stay tuned! Last month I talked about my idea for 4 novella length stories and believe it or not, I have been working on them! One is done (and sitting waiting for some serious editing) and I’ve got a nice start on another. In doing this, I realized something - it’s been a LONG time since I wrote any fiction. My last book was non-fiction and I’m having a time adjusting my brain back to fiction. I kinda wonder if I even remember how to do it. Which means progress is slow as I second guess everything I write. And yes, I hand write everything first and enter it into the computer later. That is what my wonderful Dragon Naturally Speaking software is for! Has anyone else struggled to pick back up with their storytelling after a long break? Publishing consultant Pete Masterson, who owns Aeonix, is with us again today with some interesting comparisons between Lightning Source and CreateSpace and the “New Digital Print” business model. Pete credits Aaron Shepherd for the "inspiration" of using the "New Digital Print" business model, as Aaron was the first to publicize this particular approach. Today, we have Lightning Source (LSI) and it can be a useful way for a self publisher to get a book into full distribution with modest up front costs. Of course Amazon (which is both a "good guy" and a "bad guy" depending on which policies of theirs you're stumbling over) is a major place to sell books. 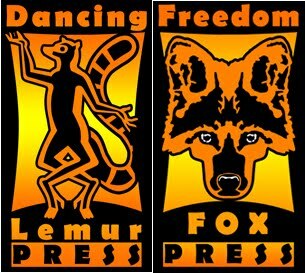 Their CreateSpace (CS) subsidiary has some advantages (and disadvantages). In recent years, many of my clients have used both LSI and CS as part of their "system" to sell their books. See the article on my web site: The New Digital Print Business Model for Small/Self-Publishers. This article also describes the differences between LSI and CS. In general, today the "best" deal is to distribute through LSI for coverage of all booksellers. Use the 20% discount as described in the business model (but sales through physical bookstores will be very few). Offer the full 55% discount if you think you "need" physical bookstores -- but you still will see few sales, as almost no booksellers will order print on demand (even through LSI) books for inventory. Use CS for their "web store" (but don't use CS for sales to Amazon if you have the book listed with LSI with a 20% discount). The web store is where you can link to CS from your web site -- people order directly from CS (but it looks like it comes from you). CS takes the credit risk (bad credit card, etc.) and prints and ships the book to the customer. You receive 80% of the list price, less the print cost. For the 20% "discount" (which goes to CS), it removes all the hassle of printing, storing, packing, shipping, billing (having a merchant account for credit cards), figuring sales taxes, etc. Frankly, this is a great deal. (Indeed, CS now forces you to select at least one sales method (awhile back, you could hold off specifying), so the default is the "web store" -- of course, so long as you don't 'hook up' your web site to the web store, there won't be any web store sales. The downside of CS is that sales to Amazon are at a (required) 40% discount. CS also offers "extended" distribution to "all booksellers" -- but you must use a CS ISBN to do that. The "secret" of extended distribution is that CS places the book with LSI for distribution. 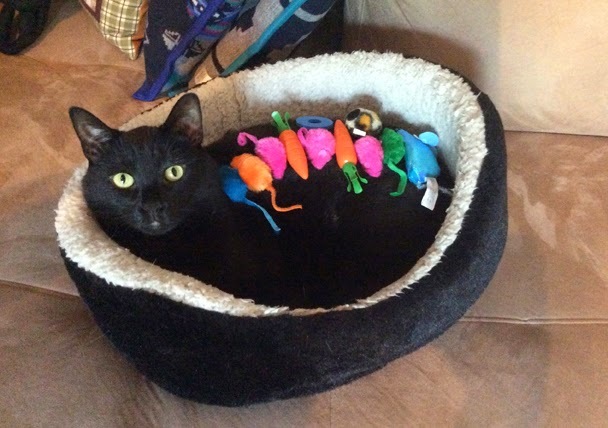 CS requires a 60% discount for this service. You can distribute directly through LSI with your own ISBN and not give up 60% of the list price! 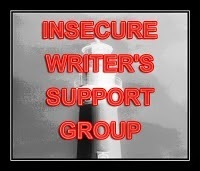 Don’t forget Wednesday is post day for the Insecure Writer’s Support Group. And this is post #1800 for me! Not bad for over 9 years of blogging.